Buoyed by support from a former German leader, the mayor of Gwangmyeong, one of Seoul's satellite cities, proposed a pan-national council to put up former "comfort women" sexually enslaved by Japan's imperial army as candidates for the Nobel Peace Prize. "I propose the creation of a pan-national council to recommend (comfort women) as candidates for the Noble Peace Prize," Mayor Yang Ki-dae said in his Facebook post. 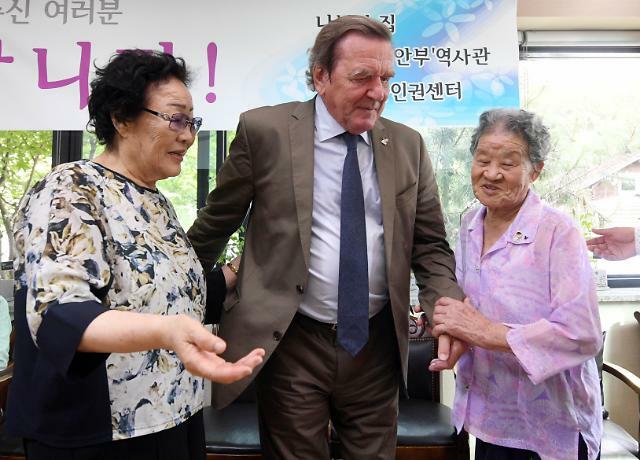 The proposal came a day after former German Chancellor Gerhard Schroeder visited the shelter for comfort women on the outskirts of Seoul Monday and expressed regret over Japan's refusal to apologize for its wartime atrocities. During his visit, which was joined by Yang and several ruling party legislators, Schroeder expressed full support for an initiative to recommend the victims as Nobel Peace Prize candidates, saying "they are more than eligible". "I hope the recommendation of the grandmothers for the Nobel Peace Prize will spark a new meaningful advancement of history," Yang said. Historians estimate that up to 200,000 women mostly from Korea were forced to work in front-line brothels for Japanese troops. Many South Koreans still harbor deep resentment against Japan over its colonial rule, and they want Tokyo's sincere apology. Under a 2015 deal, Japan agreed to donate one billion yen ($9 million) to a foundation dedicated to supporting comfort women. 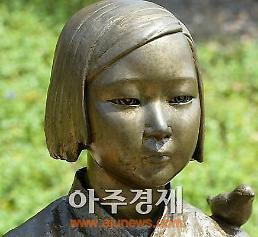 In return, Tokyo urged Seoul to tear down the "comfort woman" statues erected by civic groups outside Japanese legations. South Korean President Moon Jae-in has hinted at a possible renegotiation of the deal, saying many Koreans do not endorse it.